Is there a better food than pizza? One that is as affordable, multifaceted, and instantly crave-able? No. There is not. 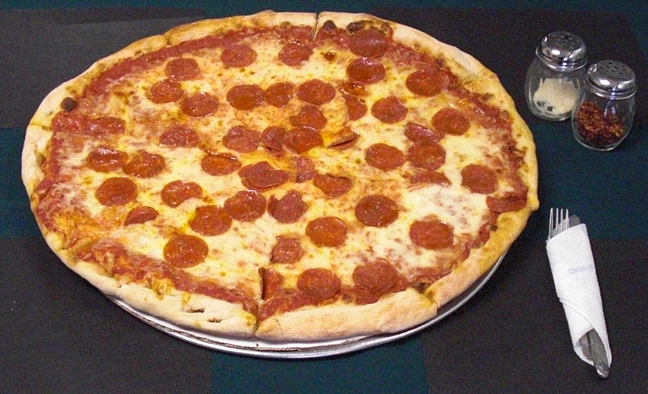 According to pizza.com, 94 percent of Americans eat pizza regularly. When was the last time you were disappointed to hear that your work was throwing a pizza party? As a kid, weren’t you always happiest when the cafeteria served pizza? Let’s all be honest here. Pizza is the best. There are plenty of bad pizza joints out there. Or, at least, there are plenty of pizza places that could serve a better pie. But how can you tell the good from the bad? Simple, I’m going to give you the 10 Factors of Quality Pizza. Once you have these, you can try out some different places and judge for yourself. Just take the criteria below and rate each place you go to. Once you find the best pizza place in your area, get all of your pizza from them. Why would you settle for an inferior pie and risk hurting your chosen joint’s financial stability? But anyway, the criteria. 1. Crust – Is the crust too thin? Too thick? Too doughy? Too hard? Is it sweet or bitter? Does it have those bread bubbles that are so good? 2. Sauce – Is the sauce too thin? To thick? Too spicy? Not spicy enough? Does it taste like old ketchup? 3. Toppings – Are there enough toppings? Are they fresh? Is the bacon crispy? Do they skimp on the pineapple? 4. Cheese – Do they use quality cheese or is it that type that evaporates when it gets too hot? Do they put so much on there that is tastes greasy? Do they skimp so much that you can see the sauce and the crust? 5. Value – Is the price set where you can afford a pizza whenever you want a pizza? Do they offer specials or discounts? Is the pizza size as large as you would expect it to be for the price that you paid? 6. Cleanliness – Is the pizza place clean? Are the floor dirty? Can you see toppings and sauce splattered all over the walls and floor? If the health inspector were to show up for a surprise visit, would you see the workers sweating? 7. Ambiance – Is there music set at an appropriate volume? Does the music annoy you? Is there a TV on and what are they playing? Is the lighting correct? Is it too dark or too bright? 8. Proximity – Is the restaurant too far to drive whenever you want a pizza? Do they deliver? Would the cost of getting to your pizza add too much to the overall bill? 9. Service – Are the workers happy? Do they thank you for your business? Are they attentive to your needs? Are they too intrusive? Do they anticipate your needs? Do they suggest appropriate add-on items? 10. Owner Availability – Can you speak to the owner directly? Does the owner seek you out to thank you for your business and ensure that you had a quality experience? Is the owner willing to take criticism or advice? So there you go. Take these 10 Factors and start rating pizza places around you. As a rule, I’ve found that indie pizza places do a better job in just about every category than the chain pizza places do. But you’ll have to be your own judge. For my area, it took a while for my wife and I to find a pizza joint that arrived at the best of all the criteria. We had been living in the Wyoming/Grandville area of West Michigan for a few years when we decided to start trying different mom & pop type pizza places. What we found were places that had good toppings but bad sauce, or good dough, but bad toppings, or good pizza but bad location and too expensive. That is, until construction forced us down a back road and we saw a pizza place that we had never seen before. We waited about a day to try them out. I found their information online and wrote down their phone number. My wife and I were on our way home from the grocery store when I called in the pizza. “Francesco’s,” said the voice on the phone. “I have need of delicious pizza,” said I. The voice told me the specials. I ordered a Hawaiian pizza with an order of bread sticks (you can tell a lot about a pizza place by their bread sticks too). Cocky, I thought. “We’ll see,” I said. But after that first pizza, my wife and I were hooked. Francesco’s is now our favorite and exclusive pizza joint. The voice on the phone was none other than the owner himself, John. His cockiness was well-founded. They offer a great pizza (great dough, sauce, toppings, and cheese) at a great value (a 2-topping 18″ giant pizza for $13.50) within regular driving distance (about 3 miles from our house) and great ambiance, customer service, and owner availability. We found our pizza place. You should find yours. Support your local pizza joint, but support the best one. And if you don’t start testing them with the above criteria, how will you know which one is the best? ← I need to stop talking about my childhood as though I remember it, because my mom reads my blog and remembers things better than I do. I like that you mentioned that the pizza place should have an owner who is always available. Like you said, there should be someone that we can speak to directly, and he should be able to take a criticism or advice if needed. I think that is vital to have a nice experience in their restaurant. For me, I will eat there repeatedly if I find that the owner is approachable. Since we agreed to celebrate my child’s birthday in a pizza place, I will make sure to look for an establishment with this kind of owner so that my son will have a nice memory on his fifth birthday. Thanks! Thank you for all this great information about choosing a pizza place! One thing that really stood out to me is that you say to look at the floors and see if they are dirty. I know that I would also like to see how they make the pizzas, just to be sure.